Spread the cost of your hearing aids - interest free! Improve your hearing loss and hear better for less than a pound a day - cheaper than a cup of coffee. Spread the cost with interest free payments over 12 or 24 months - with bloomPayPlans. Hearing loss may be challenging but finding the right hearing solution doesn't need to be. At bloom, our range of hearing aids has been designed to suit your lifestyle and hearing requirements. Whether you want a hearing aid that achieves clearer sound during conversations that is simple and functional or you are looking for a digital hearing aid with the latest smart technology that adapts to your sound preferences, we will help you take back control of your hearing so you can do the things you love. The customer experience is at the heart of what we do and, at bloom, we offer a free hearing assessment and free trial for all our customers to ensure your hearing aids are right for you along with a wide range of fittings, colours and style options. 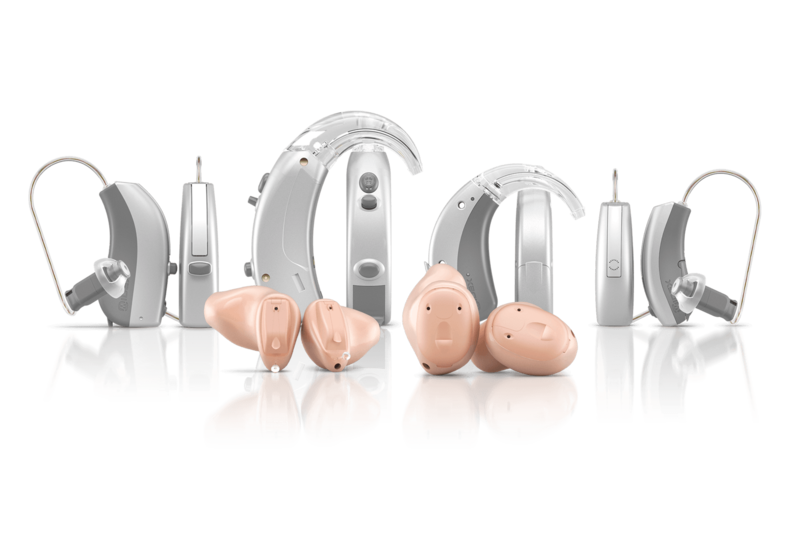 With prices ranging from £745 for our Classic Range through to £3795 for our Premium Range we also offer interest free bloomPayPlans and free aftercare for the life of your hearing aids. Find out more about our hearing aids below or click to book your free trial. The Classic range offers great performance everyday hearing aids to improve hearing loss at affordable prices. Designed for those with quieter lifestyles, the Classic range is perfect for those who want to hear true to life sound that is clear and not distorted. Improves speech clarity during one to one conversations and small quiet groups. Available in a range of fittings, the Classic range is compatible with WIDEX DEX accessories that enable hearing aids to be paired with the television or mobile phone - streaming sound directly to your hearing aids. The Plus range improves the ease of hearing speech in mildly noisy environments such as during conversation and in small groups. Offering a clear listening experience, and available in a range of styles and fittings, the Plus range of hearing aids is also Compatible with WIDEX DEX accessories. The Advanced range has been designed to deliver a superior listening experience, reducing background noise, softening unexpected noise and intensifying speech. Advanced hearing aids also enhance hearing on the phone with the voice present in both ears, no matter which ear you hold the phone to and are compatible with WIDEX Dex accessories. The Premium range features the world's smartest hearing aid technology that learns your hearing preferences with SoundSense - automatically detecting and analysing the environment you are in. Designed for enhanced communication in the most challenging and dynamic environments, the Premium range maintains rich and natural sound quality whether in an open work space, at an outdoor event or listening to live entertainment. With technology that optimises the hearing aid settings for enhanced speech and listener comfort, the Premium range has optimum streaming capabilities and fully compatible with WIDEX DEX accessories. With bloom there’s no need to wait for better hearing. We stock a wide range of hearing aids that are available to be fitted as soon as you’ve had your hearing tested. To ensure we have found the right hearing solution for you, our no-obligation two-week free trial* (on most styles and fittings) gives you the opportunity to experience better hearing for yourself. At bloom we understand that it’s not always easy to get out and about so if you can’t come to us then we’ll come to you! 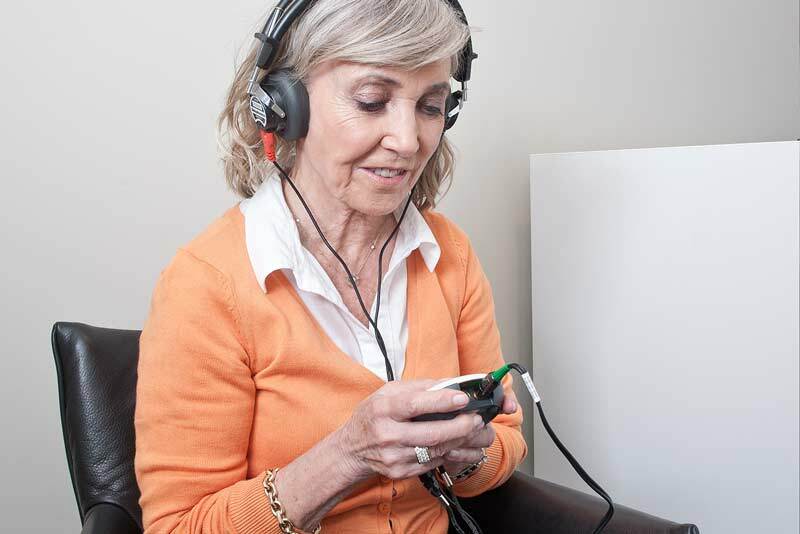 We are specialists in providing hearing healthcare in the home and are even able to carry out hearing assessments, hearing aid fittings and aftercare all free of charge. We are so confident that you’ll be happy with our hearing solutions and services that we give you a 60-Day Money Back Guarantee. To ensure the lifespan of your hearing aids, we provide free aftercare** for the life of your hearing aids. We’ll make sure they are working properly with free cleaning, servicing and check-ups, as well as routinely reassessing your hearing and adjusting the hearing aids accordingly. Get four years peace of mind for your hearing aids at no extra charge! "I just wanted to say Thank you for the wonderful job you did for my hearing. I am just over the moon with my hearing - I never imagined it would be this good. I know I don't even have my HA 24-hours yet but I have not one complaint its just perfect, I am getting used to my new life and hearing all sorts of things like my own breathing...which is strange and everything is crystal clear with such sharp quality. It's pretty incredible what you done and I am beyond pleased and excited too to get to go through life now with ease. Thank you, you did an amazing job and listened to every single thing I had to say and tailored this HA to perfection." "Graham who came to see me is very helpful and listens to my questions (bit unusual at my age to be listened to) and was so kind and patient. Really good service and very, very proficient. More than pleased with the attention I have been given by him."